Medford has decided to allow home delivery of marijuana. On a 5-3 vote, the Medford City Council voted in July to permit home delivery of both medical and recreational marijuana from stores licensed by the Oregon Liquor Control Commission. The issue surfaced last spring when Medford police Code Enforcement told Emerald Triangle dispensary in Medford it had to stop offering delivery of cannabis. The store asked the City Council to take another look at the statute, and council agreed. Leo Silva, who helped start the service at Emerald, says delivery makes a huge difference to the quality of life for seniors and disabled vets. He estimates those two groups (which sometimes overlap) account for 75 percent of delivery customers. The Medford City Council has banned greenhouses for cannabis growing. The council voted 7-1 to allow city residents to grow marijuana only in their houses or in attached garages. Detached garages built before the ordinance was enacted can be used to grow marijuana, but any new detached garages will be off-limits for growers. Mayor Gary Wheeler threatened to veto various efforts to allow greenhouses, including attempts by some councilors to come up with language that would require the greenhouses to be more secure. “I think we are going against the will of the people who didn’t want outdoor grows,” Wheeler said, referring to a 2016 outdoor-grow ban approved by voters that took effect in 2017. The city had 32 complaints last year about backyard greenhouse grows, and some councilors scratched their heads over why the council was so concerned about greenhouse grows and the home delivery of marijuana. Councilor Kevin Stine, who noted the council frequently worries about things such as marijuana stores only to find their worries were unfounded, said 32 complaints don’t warrant a ban on greenhouses. “Why are we here today?” he said. Councilor Kay Brooks said it would be an economic hardship on many Medford residents if they weren’t allowed to grow in greenhouses. “Marijuana is not cheap,” she said. Growing indoors would be much more expensive, requiring the purchase of lights, Brooks said. She favored allowing greenhouse grows as an economically better option than indoor growing. “It’s wrong to deprive people of this ability,” she said. It’s a buyers market out there, with cannabis prices in Oregon, Washington and California continuing to fall. While primo bud still can fetch about $15 a gram in local stores, $5 grams are common, and some stores have rolled out $2 grams. What’s fueling the price drop? Good old supply and demand, fed by an oversupply of bud. 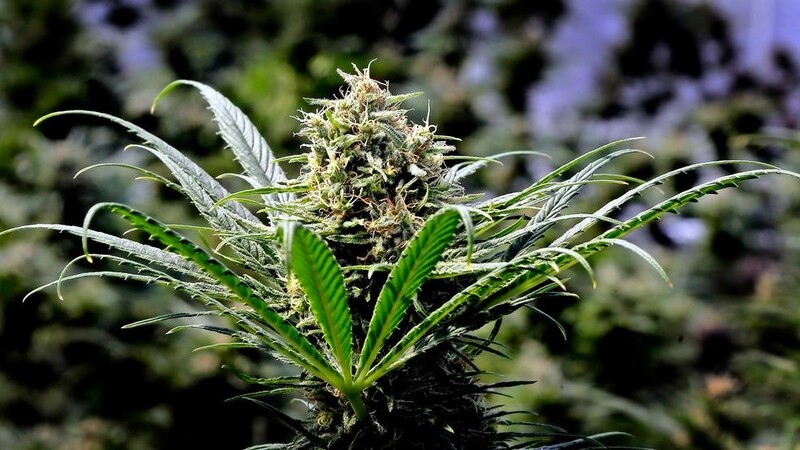 According to figures from the Oregon Liquor Control Commission, Oregon had 1,001 licensed growers and 553 retail outlets in June, a 2-to-1 ratio of growers to stores. The situation was about the same in Washington, which had about 1,100 growers competing to get their products into 520 stores. State regulators say Oregon produced enough recreational cannabis last year to supply every adult resident with more than 5 ounces of legal marijuana. The Bend Bulletin reported there were more than 1 million pounds (453,592 kilograms) in the state’s supply chain. Data provided by the Oregon Liquor Control Commission says only 108,330 pounds (45,359 kilograms) of usable recreational marijuana were sold last year at the retail level, leaving 891,670 pounds (404,455) in the pipeline to be stored for later sales or used in the manufacture of concentrates and edibles. OLCC will evaluate the supply and demand from July 2017 to June 2018 in a report for state lawmakers. Four new cannabis dispensaries have opened in the past two months in Jackson and Josephine counties, bringing the total to 48 stores — 37 in Jackson County and 11 in Josephine County, according to the July 13 report of Active Marijuana Licenses Approved by OLCC. The new stores are Kanopy 7, 1252 W. McAndrews Road, Medford; Pharm to Table, 3434 N. Pacific Highway, Medford; Pacific Northwest Horticulture, 1253 Siskiyou Blvd., Ashland; and Redwood Cannabis Dispensary, 825 NE F St., Grants Pass. A petition to allow the sale of recreational marijuana within the city of Klamath Falls has garnered enough signatures to qualify for the November ballot. The Herald and News reports Klamath County Clerk Rochelle Long said her office had verified 1,864 signatures, 81 more than was needed to qualify for the Nov. 6 election. Long says the Klamath Falls City Council can either adopt the provisions in the petition or send the issue to voters. City Recorder Nickole Barrington says the council was scheduled to discuss the petition Aug. 6. Petition supporters began collecting signatures at the beginning of the year to overturn a city ban on recreational marijuana businesses. Klamath Falls currently only allows the sale of medicinal cannabis, despite Oregon voters legalizing recreational marijuana in 2014. Did you know Jackson County has a marijuana committee that meets regularly to talk about the emerging cannabis industry? The purpose of the Jackson County Marijuana Advisory Committee is to provide recommendations to the Board of Commissioners on issues related to marijuana, including issues presented by the production, processing, wholesaling and distribution of marijuana in the unincorporated county, according to the county website. The committee is composed of seven members who serve a four-year term, including two members who are actively engaged in the medical or recreational marijuana industry; the Jackson County sheriff or his designee; one member who owns rural residential property in Jackson County and who is not engaged in the medical or recreational marijuana industry; one member who engages in traditional agriculture in Jackson County and who is not engaged in the medical or recreational marijuana industry; and two members who represent the general public. In addition, the Jackson County Development Services director, the Jackson County watermaster (or designee), and a county commissioner are appointed as non-voting, ex officio members of the committee. Faced with a backlog of applications for recreational marijuana licenses, the Oregon Liquor Control Commission said it would set aside any applications received after June 15 until the pileup is cleared. The commission says it has issued almost 1,900 recreational marijuana licenses since April 2016 as well as almost 29,000 marijuana worker permits. The agency says the pace of application submissions has not eased, causing the review process to lengthen. To power through the backlog, the agency says it would temporarily shift employees to focus on renewals and applications that already have been submitted. Executive Director Steve Marks says the temporary suspension of new licenses will help the agency fulfill its regulatory duties and provide timely responses to businesses in the industry. The Oregon Legislature is expected to look at the issue next year. A cannabis company called Nectar Holdings LLC is advertising on its website that it is buying dispensaries in Oregon. As of July, the company owned 14 dispensaries from Eugene north to Portland, and one of its subsidiaries is Applegate Valley Organics LLC, which operates six growing operations, five of which are located in Jackson County, according to OLCC’s list of approved cannabis license holders. According to its website, http://nectarpdx.com, Nectar Holdings is an Oregon entity that operates dispensaries through its Nectar Markets LLC subsidiary, and six cultivation facilities through its Applegate Valley Organics subsidiary. The CEO is Jeremy Pratt, according to Secretary of State’s Office filings. In case you didn’t realize it, you don’t have to buy all of your cannabis edibles from an OLCC-approved dispensary. Stores from Food 4 Less to Costco to Trader Joe’s sell hemp seed and hemp oil yummies. One of the tastiest to hit the market recently is Trader Joe’s Organic Hemp Seed Bars, which are full of healthful nuts and grains. Seedy snacks can be bland, but Trader Joe’s avoids that problem with these chewy delights. Their earthy flavor is balanced out by sweetened dried blueberries and black currants. They come in a 4.4-ounce bag with five bars for $2.99. Scotts Miracle-Gro Co. has acquired the top U.S. distributor of hydroponics products for $450 million in cash and stock, a transaction that will more than double its sales to cannabis growers, according to Bloomberg. Chief Executive Officer Jim Hagedorn is making the company’s largest-ever transaction as he continues his three-year transformation of Scotts, the largest maker of lawn and garden products, into a force in the cannabis industry. Nine states and the District of Columbia now allow recreational pot use, and the industry is expected to reach $75 billion in sales by 2030 as more legalize marijuana, according to Cowen & Co.
Scotts agreed to pay $425 million cash and $25 million in shares for closely held Sunlight Supply Inc., the Marysville, Ohio-based company said in a statement. Sunlight will merge into Scotts’ Hawthorne Gardening Co. unit. “We are creating a game-changing moment for Scotts Miracle-Gro, for Hawthorne, the hydroponic products industry and the users of our products,” Hagedorn said in the statement. Colorado’s governor vetoed a bill in June to allow marijuana retailers to set up “tasting rooms,” dashing hopes that the state would be the first to adopt a system letting consumers use marijuana in public spaces. Supporters hoped the narrow bill could resolve a stubborn conflict in Colorado and other states with legal marijuana. Marijuana possession by adults is legal but using it in public, including streets, parks and most hotels or rental properties, could lead to a citation. Other states repeatedly have delayed or avoided a statewide system for public use, including Alaska, where regulators were expected to resume discussions last month on letting people consume inside retail stores. Oklahoma voters approved a medical marijuana bill June 26, making it the 30th state in the nation to permit the use of marijuana with a doctor’s recommendation. The measure, passed with a near-60 percent majority, was notable for being one of the most permissive medical cannabis policies in the country, according to The Washington Post. While most states specify a narrow list of medical conditions for which doctors can recommend the plant, in Oklahoma doctors will be able to recommend it for any condition. Oklahoma’s proponents even included a two-month deadline for the implementation in their measure so as to avoid the years of delays they had seen elsewhere. But that didn’t stop state health officials and the Republican governor from making drastic changes. Within weeks of the election, they signed off on tough new restrictions, including a ban on the sale of smokable pot. The change was supported by groups representing doctors, hospitals and pharmacists who opposed medical marijuana, but infuriated supporters of the state question and already has led to lawsuits. A Canadian company became the first marijuana business to complete an initial public offering on a major U.S. stock exchange in July, raising $153 million to expand its operations as Canada prepares to legalize the drug nationwide. British Columbia-based Tilray Inc.’s shares began trading on the Nasdaq stock exchange at $17. The stock quickly jumped, closing for the day at $22.55 — up about one-third. Tilray isn’t the first pot company to trade on a major American stock exchange, but it is the first to do so with an IPO, a step that could boost credibility and confidence in the industry.